When you think of an exotic beach destination, what do you picture? Over-water bungalows in Bora Bora? Longtail boats in the Thai Islands? Sea turtles and lava flows in Hawaii? Well let me introduce you to an exotic beach destination that you might not have considered yet: the Seychelles! The Republic of Seychelles is an island nation that sits more than 900 miles off the coast of East Africa in the Indian Ocean. The country comprises of 115 different islands, many of which are uninhabited. The country has a history influenced by both the French and the British (and both their slave trades, which brought people over from mainland Africa). Because of this, the islands are an interesting mix of cultures with three official languages: English, French, and Creole. If you've heard of the at all (it's not really promoted yet in the Americas as a holiday destination, though I expect that this will soon change), you may think of it as a honeymoon destination for the rich and famous – after all, this is where Prince William and Kate Middleton went on their honeymoon! I hadn't really thought much about visiting the Seychelles before, and kind of assumed that it wouldn't be a place I'd enjoy visiting on my own. But then I was invited to visit by the Seychelles Tourism Board and couldn't say no! Much to my delight, I found that the Seychelles are about more than just beaches and honeymoons. In fact, the country surprised me with everything it has to offer. The Seychelles are home to what are arguably some of the best beaches in the world. Fine white sand, turquoise waters, and a year-round tropical climate makes this place a dream. I kept joking that some of the islands were basically just one big beach! And the best part? I never felt like any of these beaches were crowded (I mean, these photos weren't edited at all to remove people!). The Seychelles are known for beautiful beaches, but the islands are also home to some seriously cool jungles and even mountains. The Seychelles are NOT volcanic islands, meaning they're quite different from somewhere like Hawaii. The mountains here are sheer and made from granite, giving the islands a very unique look. The largest island of Mahe especially charmed me with its different landscapes, including huge granite mountains and boulders covered in palms and other jungle-y plants. Hiking is even popular here, with various trails leading to great viewpoints all across the island and through Morne Seychellois National Park. The tallest mountain is Morne Seychellois at just under 3000 feet. The Seychelles were largely uninhabited by humans for a long time, but that doesn't mean there was a lack of life on the islands. In fact, the Seychelles have some of the most unique flora and fauna! 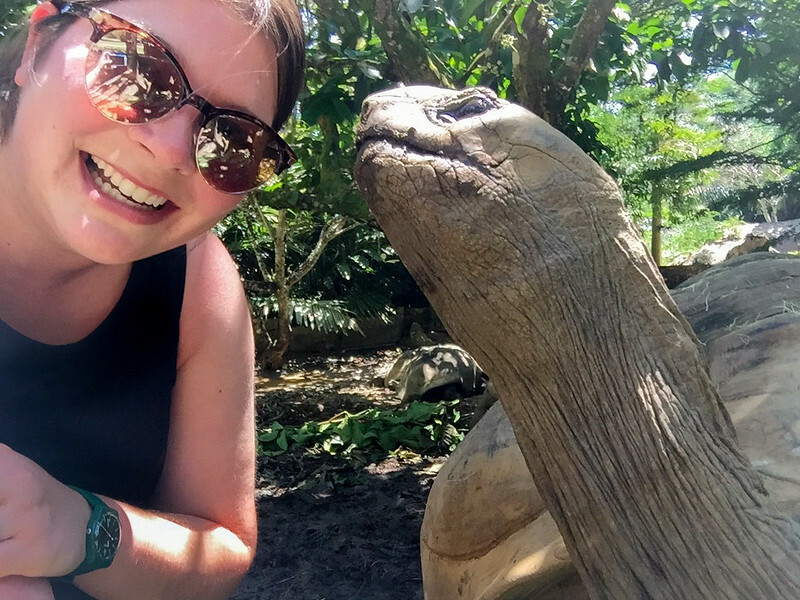 For example, the Aldabra giant tortoise is native to the Seychelles and is one of the largest tortoises anywhere in the world. You can find them roaming free on islands like Cousin and Curieuse, as well as in enclosures on the more touristed islands like Mahe and Praslin. And the Seychelles is also home to the Coco de Mer palm, which produces the heaviest seed/nut of any tree in the world! I went to see these amazing trees in the Vallée de Mai Nature Reserve on Praslin, which is recognized UNESCO World Heritage Site. 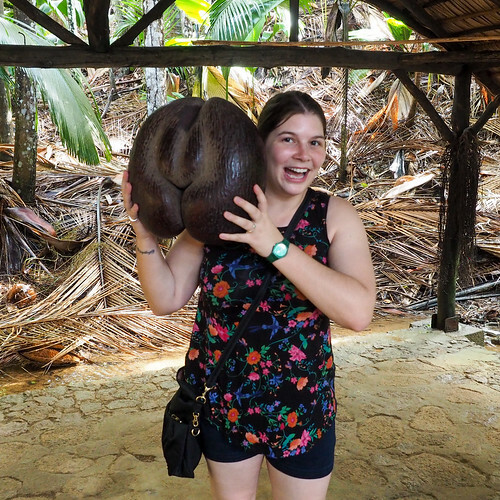 Me with a giant Coco de Mer nut! AND you can even find pitcher plants (you know, those carnivorous ones) on some of the islands, including in Morne Seychellois National Park on Mahe. The Seychelles relies on tourism as its major economic industry, playing host to both cruise ship passengers and independent travelers throughout the year. And the tourism infrastructure in the country is great! Nearly everyone speaks English, the roads around the islands (while narrow and twisting at times) are well-paved, and it's very easy to get around even if you're traveling on your own. There are lots of full-service resorts to choose from, too. 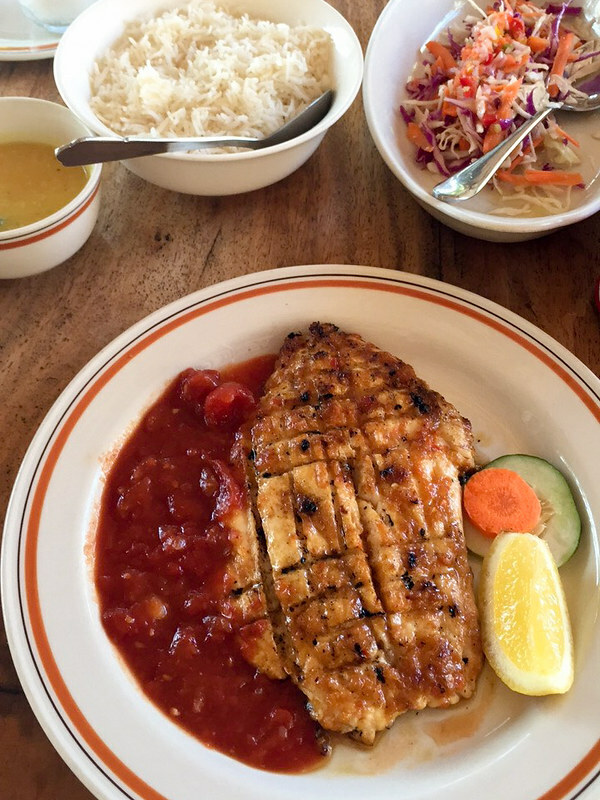 Island cuisine is usually pretty tasty, and this is true in the Seychelles, too. Seafood and creole dishes feature on most menus, and the seafood especially is fresh and delicious. Yes, there are high-end 5-star resorts in the Seychelles that come with high price tags (like the and ), but you can find fairly affordable luxury here, too, especially if you look into guesthouses/B&Bs. And, since there are so many beaches everywhere, the water is never far away even if you end up booking something without direct beach access. This beach? Totally not private! Lastly, I loved visiting a destination that I haven't seen plastered all over Instagram and other travel blogs. I know this probably isn't a concern to most normal travelers, but it was definitely a for me. It's exciting to feel like you're “discovering” a destination rather than just visiting all the spots everyone and their grandmother have already seen. I mean, yes, Anse Source D'Argent on La Digue is said to be one of the most-photographed beaches in the world, but I still felt a bit intrepid by going there since I haven't seen a million photos of it already on Instagram. 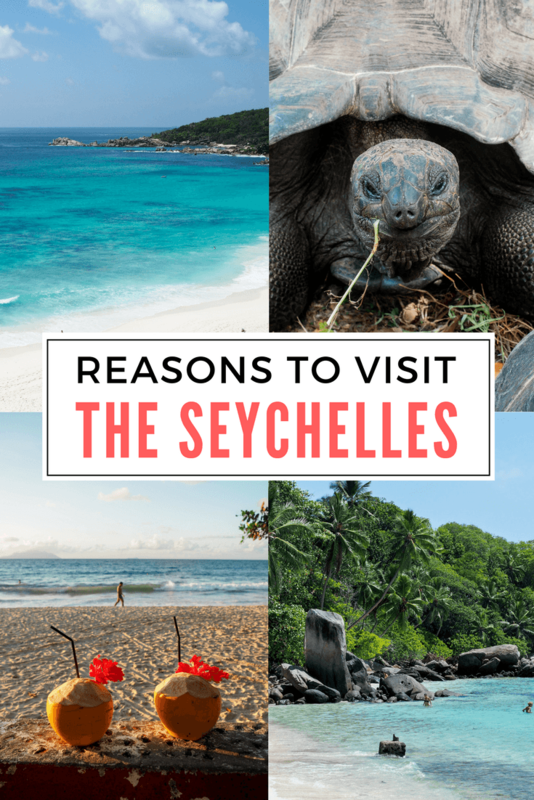 Looking for a good Seychelles itinerary? Check out this 1-week Seychelles itinerary. Bonus: That it's easy to pair up with a safari in Africa! 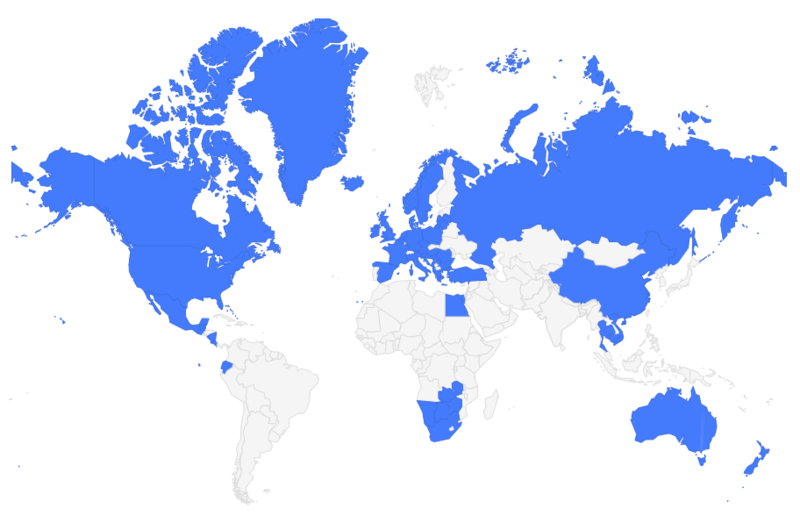 And, as an added bonus, the Seychelles are in perfect proximity to pair up with a safari in a place like South Africa! You can easily visit the Seychelles from Southern Africa, meaning you can go from game drives to beach bumming without much stress. The differences in culture and landscapes would make a nice combo, too. GETTING THERE: Daily flights arrive at Mahe's international airport (SEZ). I connected to the Seychelles via Dubai on Emirates, but direct flights arrive from various destinations in Africa and the Middle East. Starting in March 2018, British Airways will also be offering direct flights from London. GETTING AROUND: On the larger islands (like Mahe and Praslin), you'll need a car or taxi to get around. Taxis are readily available, as are rental cars. On La Digue, the preferred mode of transport is by bicycle. Traveling between islands is usually done by ferry (it takes one hour to get from Mahe to Praslin), though short inter-island flights are also available. MONEY MATTERS: The Seychelles use the Seychellois Rupee as currency. Currently $1 USD is equal to 14 Rupees. The Seychelles aren't particularly cheap. A ferry ride from Mahe to Praslin costs about $50 one-way. A typical meal in a nice restaurant will cost $20-$35. WHERE TO STAY: Like I mentioned above, there are lots of luxury options in the Seychelles, but also plenty of off-beach guesthouses and B&Bs to choose from if you're looking to save money. . So what do you think? Are you ready to plan a trip to the Seychelles now? NOTE: Thanks to the Seychelles Tourism Board for hosting me in the Seychelles. As always, all opinions and recommendations are 100% my own. I’m still contemplating whether to go to Mauritius or the Seychelles with a friend next year! I’ve researched both, and I can’t make up my mind! I haven’t been to Mauritius, but the Seychelles were amazing! They’re not volcanic like Mauritius, so both destinations are actually pretty different! 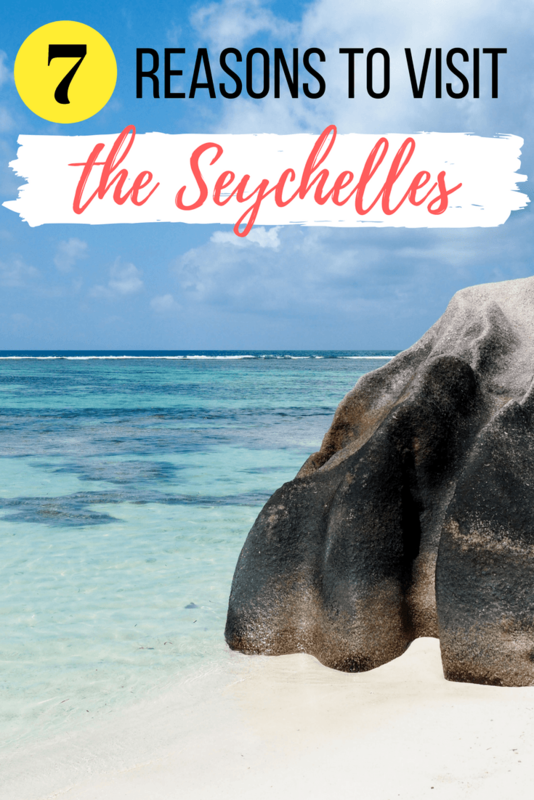 Thanks for the lovely post about the Seychelles! My husband is going on a mountain trek next year and ive been looking at going to the Seychelles from some R&R and cocktails! These photos are definitely helping me sell me on the idea! haha! Great reasons! 🙂 Well, beaches are enough for me to intrigue to visit Seychelles, but all of the other reasons also add to the curiosity. And, pairing it up with a safari in South Africa would be a true bonus. The beaches are a great reason, but all the other things make it a really unique destination! I totally forgot you spent a lot of time in the Seychelles! I loved it! Now this is out and out beautiful! It’s a gorgeous country, for sure! I recently visited Seychelles and it was everything you claim it to be. When you were on the beaches, did you feel like you were on a completely different planet? Climbing over those huge rocks on La Digue definitely felt other worldly to me. Great post! Yes! Parts of it definitely looked otherworldly – and the beaches are just so incredible! I spent three weeks in Indonesia this past fall— and the absolute highlight was Gili Meno, where I stayed in a cozy little bungalow RIGHT ON the water. It was an absolute dream— and I’m SO tempted to just go back there for my next trip, but just this morning, I started looking into destinations that were similar in vibe, and discovered the Seychelles (I mean, I’ve heard of them before m,but knew nothing of them, really) , and I think I might go for it! I love the idea of pairing it with a wildlife adventure in Africa. It’s still a bit of a distance from Africa, but I think I’ll tske three weeks, so I should have a good amount of time in both. My search led me to your blog, and I’m glad it did! The Seychelles are definitely amazing and pair up perfectly with a safari in South Africa or Tanzania! Three weeks should be a great amount of time for both!